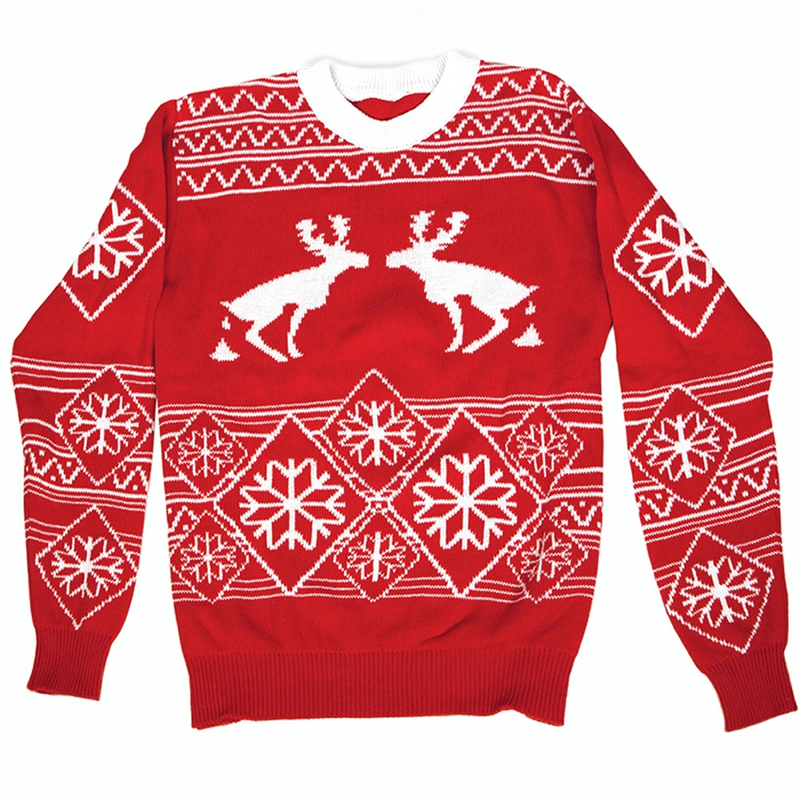 Even moose are getting in on the Christmas spirit and gifting you something special with this Pooping Moose Adult Ugly Christmas Sweater. 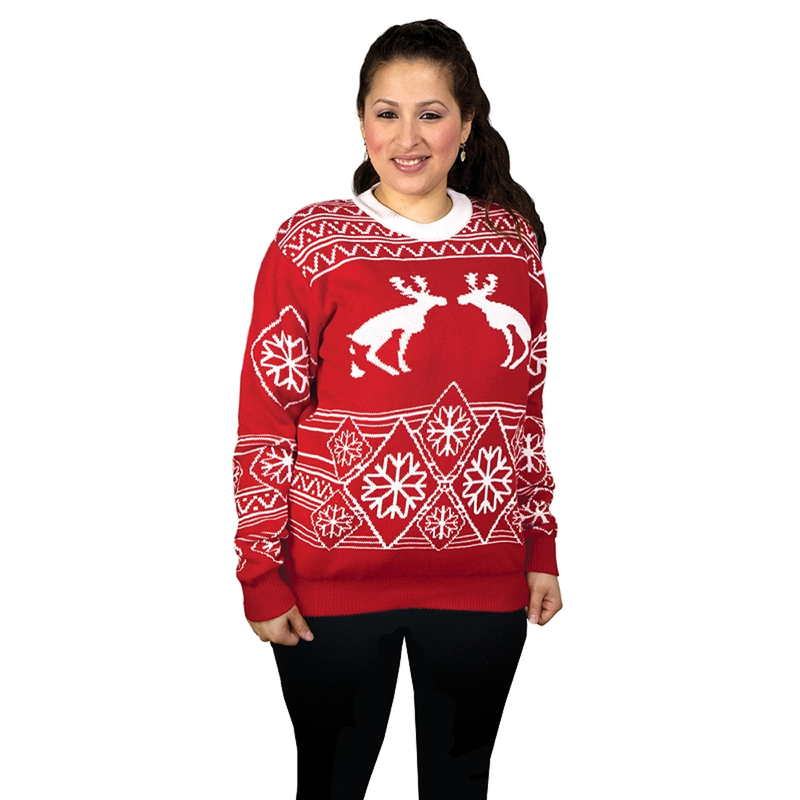 Made of 100% acrylic, this funny Christmas-inspired sweater features a silhouette image of two squatting moose dropping off some small gifts. The moose are surrounded by white snowflakes and line design patterns. 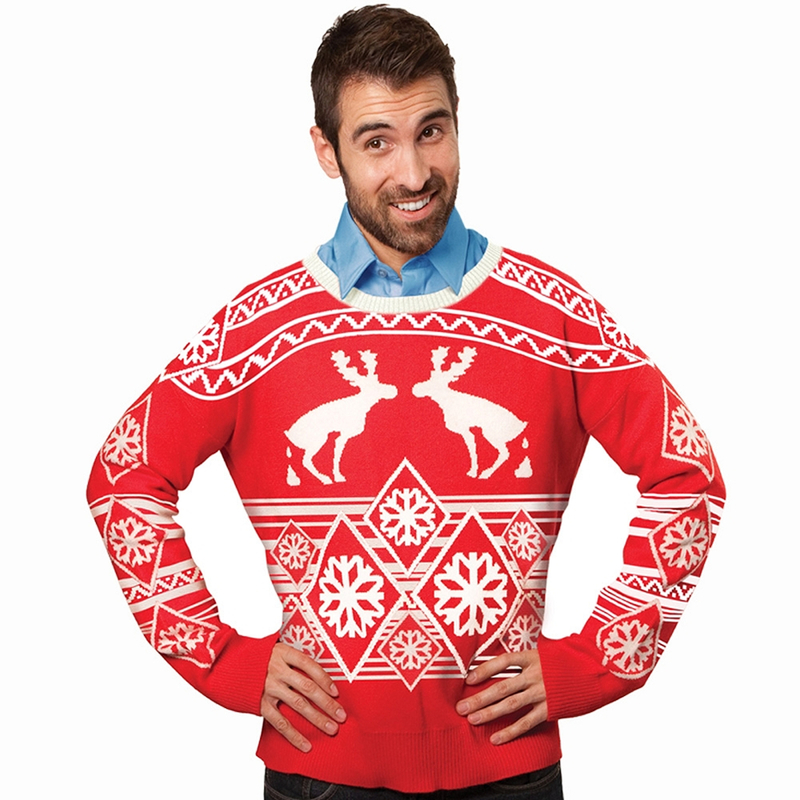 This Pooping Moose Adult Ugly Christmas Sweater is an amazing gift for Christmas for someone who loves Christmas or a funny gift for yourself. Machine wash cold. Do not bleach. Do not iron. Do not dry. Line dry only.